A major State-owned defense contractor has designed and built a cutting-edge quantum radar, which military observers say will eventually be able to detect stealth aircraft from great distances. The radar, developed and made by the Nanjing Research Institute of Electronics Technology in Jiangsu province, is able to detect and track targets more than 100 kilometers away, Sun Jun, head of the institute’s Intelligent Detection Technology Laboratory, told China Daily in an exclusive interview. The institute has been working with the University of Science and Technology of China and Nanjing University along with other research partners in carrying out field tests of the radar’s prototype, and has extensively improved its accuracy and sensitivity, he said. The radar is still undergoing tests and is more like a prototype demonstration of future capabilities, Sun said, adding that future versions will have better anti-stealth properties. The Nanjing institute, part of Beijing-based China Electronics Technology Group Corp, is the country’s largest and most developed designer of military surveillance radar systems. Its products have a wide presence in the People’s Liberation Army and have been sold to more than 20 nations in Africa and Asia, according to the institute. Traditional military radar relies on radio waves to detect targets, which consequently make them susceptible to jamming measures. Most existing radar systems cannot detect stealth aircraft because such planes are made of radar-absorbent materials and have “stealthy” aerodynamic designs. By comparison, quantum radars transmit subatomic particles, instead of radio waves, when they search for targets, so they will not be affected by radar-absorbent materials and low-signature designs. Moreover, quantum radars are not fooled by traditional radar-jamming tactics. In addition to these advantages, quantum radars can also be adopted in missile defense and space exploration in the future. 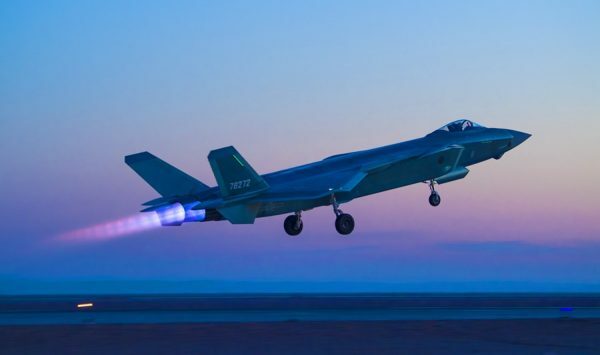 They will revolutionize radar arsenals, according to researchers from PLA National University of Defense Technology in Changsha, Hunan province. China has been allotting a considerable amount of resources to quantum technologies in an attempt to lead what Chinese leaders consider one of the most important fields in tomorrow’s science and technology realm. Copyright © Thailand Council for the Promotion of Peaceful Reunification of China All Rights Reserved.